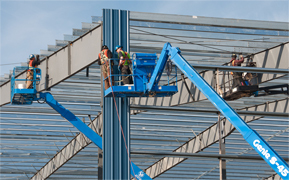 JDG Construction Management Ltd. is a general construction contractor in North Vancouver specializing in steel building construction that has an immediate opening for a Salesman/woman, Sales representative. REQUIRED EXPERIENCE minimum 1 year relevant experience. Knowledge of computer systems and common software: Office, Autocad, Timberline. Good construction knowledge on architectural and structural aspects. Maintain accurate records; including sales, follow-ups, reporting, projects. COMPENSATION: D.O.E., Commission or Salary plus commission. Includes comprehensive benefits package.